Teaching a child to count is not exactly rocket science. But ita��s even more complexa��especially if your kid has the attention span of an excited mosquito. Thankfully therea��s a fun way to do the job: just do it through movies.Let me demonstrate how. Start with the one and only Salman Khan. Screen Ek Tha Tiger at home. And tell your little one, Ek means a�?onea��. If your boy has a more evolved taste, log onto YouTube and showcase the Pankaj Kapoor drama Ek Ruka Hua Faisla. If he loves it, then make him eligible for the Amitabh comedy Do Aur Do Paanch. Remember to point out that the title defies all laws of algebra. The triple dimensions of three can be dinned into his head with the Aamir starrer, 3 Idiots. Hugh Granta��s romantic comedy Four Weddings and A Funeral is a deft means of seeding four into his vocabulary.A� And Tamil actor Bharatha��s new release, Aindhu Aindhu Aindhu should educate him about five. Six is a cinch. 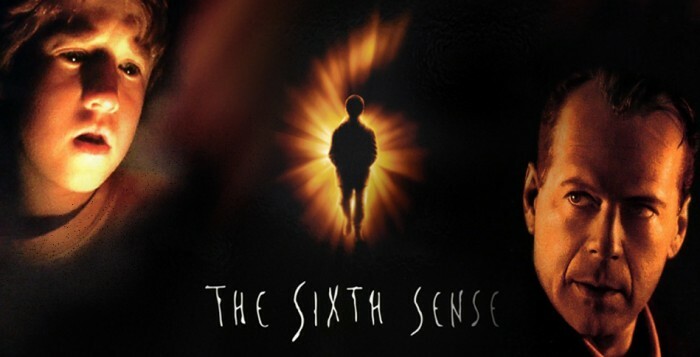 Try Manoj Night Shyamalana��s Sixth Sense. An easy method to memorise seven is by disclosing to your son that Saat Hindustani was Amitabh Bachchana��s debut film. The arachnid horror flick Eight Legged Freaks is enough to tell all about number eight. Sivaji Ganesana��s nine-role act, Navratri, should be a melodramatic reminder for the Hindi nau. And Kamal Haasana��s 10-role blockbuster Dasavatharam will teach him a thing or two about being a jack of ten trades. David Dhawana��s Ek Aur Ek Gyarah, Bruce Willisa�� film Twelve Monkeys, and the American slasher Friday the 13 should get him up to speed on pre-teen numbers. If that whets his appetite, the Stephen Kinga��s psychological thriller 1418 and Robert DeNiroa��s crime thriller 15 Minutes should initiate him into the teens. Bharathirajaa��s Padhinaaru Vayadhinile that featured a 14-year-old Sridevi playing a 16-year-old Mayil is a good advertisement for the kind of mess, sweet 16 could get him into. 17 Again, Enakku 20, Unakku 18 and Unees Bees are films that can take him to the 20s. 21 Grams, Catch-22, The Number 23, Iruvathi Naalu Mani Neram, 25th Hour and Special 26 should round up the exercise. And if he asks you about zuk, therea��s always Zero Dark Thirty.